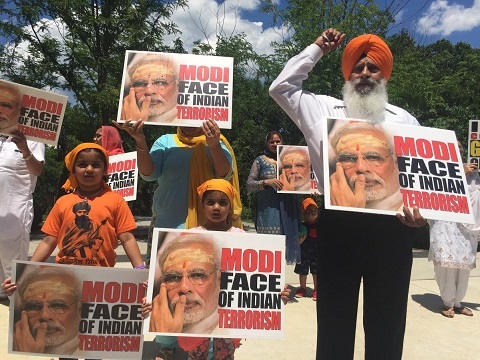 USA IN Sikh protesters Against indian pm narendra modi,Dozens of Sikh protesters picketed the White House in Washington DC, Sunday, where US President Donald Trump’s was meeting with Indian Prime Minister Narendra Modi, calling for an independent Sikh state in India. Last week, SFJ representatives met with dozens of U.S. 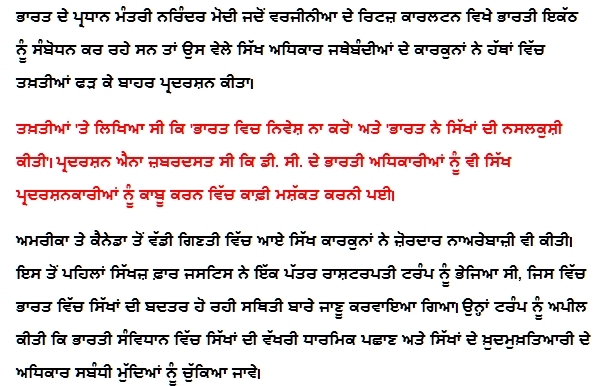 Congressmen, Senators and their staffs in an effort to urge the establishment of a Congressional delegation visit to Punjab to assess, report and apprise the U.S. Congress of the recent spate of human rights violations against the Sikh community. 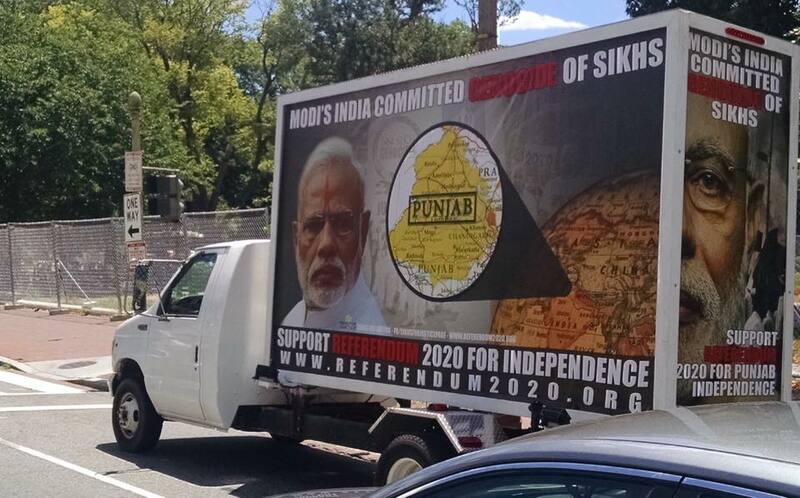 In support of efforts to establish such a delegation, SFJ issued a full memorandum to every member of Congress.